Have you been looking for some assistance with an Irish tax return? The Australian Tax Solutions website is the place you need to be. We are a team of Australian trained and registered tax agents that specialise in providing Australian income tax services for the most reasonable prices in the industry.  We work very closely with our Irish partner firm to ensure clients remain tax compliant in both Ireland and Australia while minimising worldwide tax and maximising refunds – so you know we are the business you need to go to. As a business, we have an excellent reputation for our customer advocacy and reliability. This is something we are very proud to uphold with each of the clients we work with, as part of our excellent customer service guarantee. Customer satisfaction is also something we take very seriously, which is why we always ensure our clients are 100% happy with the service we have provided. Irish citizens, that are resident in Ireland for tax purposes, are required to declare and pay tax on your worldwide income. If you are currently situated in Ireland and have a property rented out in Australia – it is most likely you need to declare this income in an Irish tax return, as well as an Australian tax return. Non-Irish citizens may not have to declare their worldwide income but should get professional advice to confirm. If you would like some help when filing an Irish tax return, make sure you visit the Australian Tax Solutions website today. However, if you would like to have a chat with a member of our excellent customer service team – give us a call on 085 8720746. Alternatively, fill in the contact form on our website and someone will get back to you as soon as possible to discuss how we can best meet your requirements.